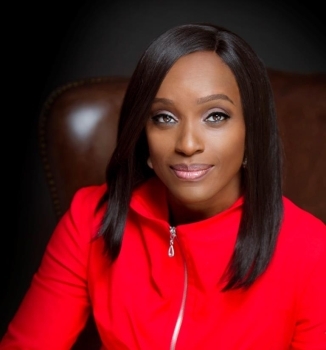 The former Nigerian Minister for Communications Technology, Dr. Omobola Johnson, delivered the UN Economic Commission for Africa’s (ECA) annual Adebayo Adedeji at the ongoing Conference of Ministers in Marrakech, reports ITREALMS. Held in memory of the Nigerian scholar Adebayo Adedeji – arguably one of Africa’s leading proponent of regional integration – the lecture focused around the question of digital transformation in Africa: Hype or Reality? “There is enough evidence that Africa can be digitally transformed. But what is holding us back? asked Dr Johnson when she delivered the lecture to ministers and a host of experts attending the Economic Commission for Africa (ECA) Conference of Ministers. As the world-wide-web celebrates 30 years, its inventor Tim Berners-Lee told a Nigerian audience recently that the country represents both the present and future of the web, when you look at how it is impacting lives in Nigeria, but also across the continent. Adedeji was the ECA’s 3rd and longest serving Executive Secretary (1975- 1991). He is renowned and admired for his relentless calls for Africa to move away from conventional ideas of international trade and economic development. He is also credited for championing calls that led to the creation of ECOWAS. It is also widely accepted that his ideas form part of the pillars on which the African Continental Free Trade Area (AfCFTA) is anchored. Economic experts agree that, in the currently environment, the success of this continental trading bloc, will hugely depend on digital technology, tools and skills. Johnson cited a number of success stories across the continent and how they have used technology to provide services to the hitherto uncatered for or under served, but said that many challenges remained. “Affordability is an issue: the internationally agreed target is for 1gb of data to cost no more than two percent of the average national monthly income. In Africa this currently stands at 8.76%, compared to 3.5% in Latin America or 1.54% in Asia. And the latest affordability reports show that this has increased over the past year.,” she said. She also noted disturbing tax trends, both on digital infrastructure and utilization taxes, which although seductive, can often have unintended consequences, such as increasing the cost of digitisation and curbing its transformative impact. She called for an urgent need to strengthen the infrastructure and fibre network. Currently when connecting Cape to Khartoum, she said, the connection will take them via London, New York, San Jose and Tokyo to arrive in Khartoum 409 milliseconds later. She mentioned the urgent need to develop a pool of skilled talent that can turn the continent into the world’s digital talent pool in the same way that China became the world’s factory, through a large labour force and targeted government policy.